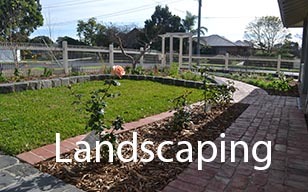 Hi, I’m Rob and the owner of Heritage Property Maintenance in Melbourne. Heritage Property Maintenance, is not just a home or property maintenance business, nor is it just a home handyman service; it’s a business that provides only quality home and property maintenance services as well as a range of quality handyman services for your home. Heritage Property Maintenance was established after spending considerable time, mainly on weekends renovating our own Californian bungalow. One of the first things I realised was just how impossible and frustrating it was to get a tradesman or handyman to even turn up. On the odd occasion that they did turn up, in some cases I just wasn’t happy with the quality of workmanship, overall being poor, and in some cases I found that they were charging exorbitant fees for jobs that in some cases were not done to my satisfaction, or high expectations. Oh, and I am pretty dam fastidious in the quality of the end result, I have an eye for detail and settle for nothing less than the best quality on ever single job undertaken. So it was during this time, that I decided to start Heritage Property Maintenance. 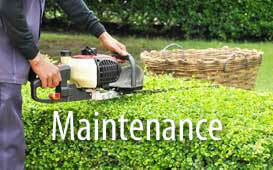 At Heritage Property Maintenance, I work on all types of homes and properties, new and old, large and small. Heritage homes are an important part of Melbourne that needs to be preserved for future generations to enjoy. I have always had a passion for history and all period and heritage homes. Period and heritage homes require a lot of ongoing maintenance, to bring them back to their former glory. Having studied and obtained all the extra necessary skills and having experienced first hand the poor service by other providers, I felt there was a gap in the market for a quality home and property maintenance, hence the establishment of Heritage Property Maintenance. A true quality home and property services business with old fashion values, owned by a fastidious handyman, who prides himself on quality workmanship. At Heritage Property Maintenance, my commitment to you is that I will work with you, listen to your requirements and cater to your budget to guarantee your 100% satisfaction for jobs carried out. I provide honest, reliable and friendly service and take great pride in all work carried out to ensure work delivered is of the highest quality. What’s more I guarantee you, I will deal exclusively with you myself every time. I look forward to helping you and working with you soon. 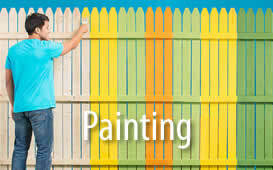 Call now for a free quote!! Read what customers are saying about our quality handyman and home maintenance services.